We all seem to be obsessed with the idea of travelling abroad, and with the vagaries of the British climate dominating our lives, it is not difficult to understand why that would be. Most of us like to feel the sun on our backs, and to know that we can bank on the fact that when we go away for a few days we are not going to get drenched. But there are plenty of reasons to stay at home, especially if you happen to be a golfer. Here, we look at 10 of the best home destinations for golfers and their families. The Auld Grey Toon is the Home of Golf, but it is much, much more than that. It is home to a world-famous university, ancient ruins, miles of sandy beaches, great pubs and restaurants, amazing hotels and friendly B&Bs. And then there are all the golf shops, the golf museum and the Royal and Ancient. 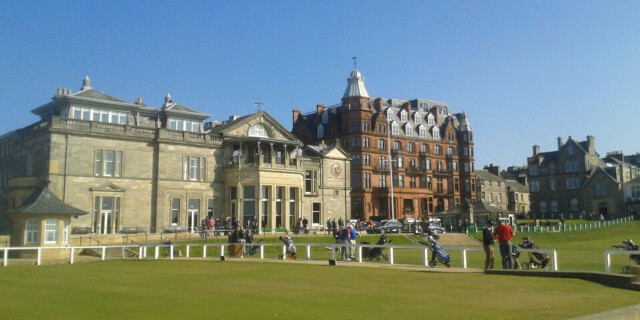 Everybody who visits St Andrews will want to play the Old Course, and why wouldn't they? The chance to walk fairways covered by the legends of the game is one you would not want to miss. But many knowing sages believe the Old Course isn't even the best course in the town, far less in the world. Try the New Course, Jubilee, or the Eden. Or what about the nearby Torrance? Head a few miles out of town and take on KIngsbarns, which is one of the most spectacular links courses on the planet. This may not seem like an obvious destination, but Glasgow has much to commend it. Millions of pounds have been spent on regeneration. The city centre is vibrant, with lots to see and do. There are countless museums and art galleries, and all of them offer free admission. On top of that, there are beautiful parks aplenty. Or you might want to go and watch Celtic or Rangers play a home game. Loch Lomond is just a short drive away, as are countless other beauty spots. And then there is the golf. There are literally dozens courses to choose from, with everything from council-owned public courses to stupendous private clubs which welcome visitors. Littlehill and Lethamhill are two of the best public courses you will ever play. 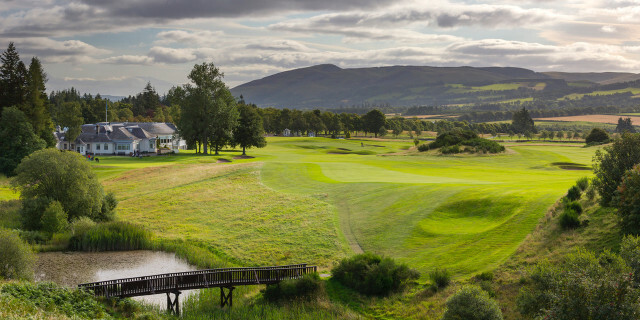 And when it comes to private courses there is everything from the wonderful parkland layout at Pollok, the fabulous heathland challenge offered by Cathkin Braes or the wonderful Cawder, a course where every part of your game needs to be on the ball. 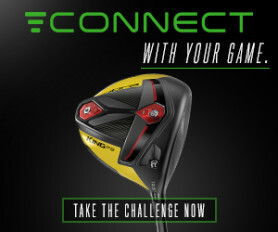 Looking for great golf? Glasgow just might surprise you. Home to the Edinburgh Festival and the Military Tattoo, Edinburgh is the capital of Scotland, home to the controversial Scottish Parliament building and arguably the most historic city in Britain. Nobody leaves the city feeling short-changed. It is a glorious mix of ancient and modern, all overlooked by the magnificent Edinburgh Castle. Take a walk down the cobbled streets of the Royal Mile, call in to one of the fabulous restaurants for some amazing food, try one of the thousands of brands of malt whisky on offer in Edinburgh's bars, and don't forget to hike up Arthur's Seat and enjoy the spectacular views. If you are a golfer, you are going to be spoilt for choice too. 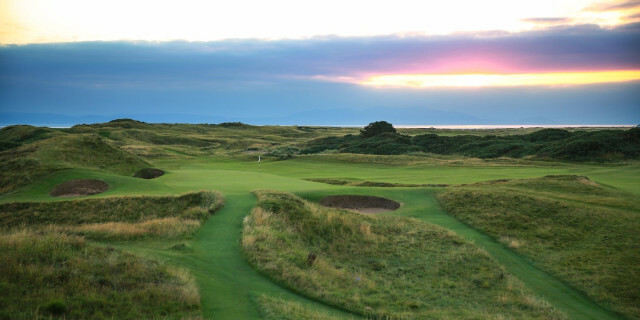 Most of you will know all about Muirfield, but getting a round of golf there may be tricky. Dalmahoy is a spectacular resort on the outskirts of the city, offering luxury accommodation and two wonderful golf courses. Duddingston, North Berwick and Braid Hills should also be played. 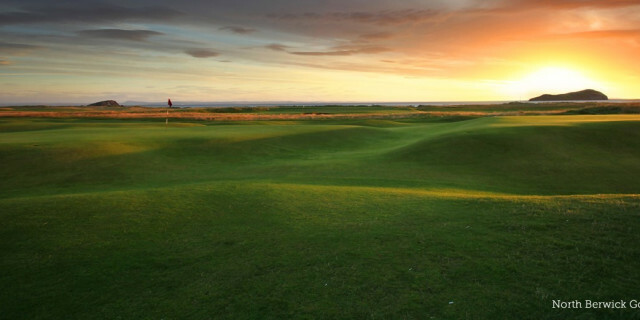 And don't miss out on Musselburgh, widely regarded as the oldest golf course in the world. The Lancashire coast is famous for its beaches and a warm welcome from the locals. Have you ever been to Blackpool? It is a town that never sleeps, and it has something for everybody, whether your poison is ballroom dancing, funfairs, Kiss Me Quick Hats or fish and chips. Head inland and there are countless beautiful villages with pubs offering a warm welcome and wholesome food. Royal Lytham, Lytham Green Drive, Royal Birkdale, Southport and Ainsdale, Hesketh, Hillside are among the best links courses you will find anywhere. OK, so we accept that Southport is actually officially part of Merseyside now, but the people who live there will tell you that they still consider themselves to be Lancastrians. 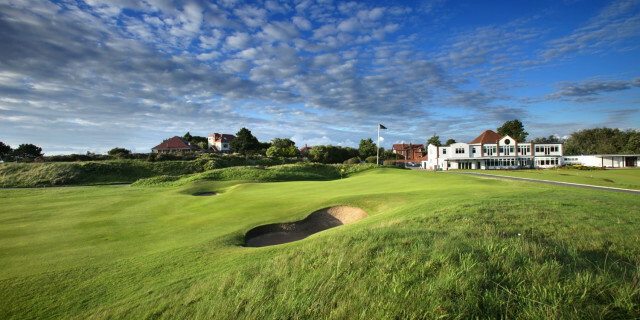 Birkdale is regarded by many as being the hardest of the courses on the Open Championship rota and while it is a fabulous test, if you are going to play there make sure that you also get in 18 holes at Hillside, which is arguably even better. Anybody who lives in Yorkshire will tell you that it is actually God's country, the most beautiful part of the British Isles. If you have ever been there, you will know that it is difficult to argue. It is a county of huge contrasts, with modern, thriving cities such as Leeds and Sheffield, the stunning Yorkshire Moors and dozens of picture-postcard seaside towns. Golfers will find that they are spoilt for choice. Lindrick, on the border with Nottinghamshire, once hosted the Ryder Cup and is one of the most underrated courses in Europe. Other excellent layouts include Ganton and Fulford, which has hosted many European Tour events. Robert Burns was born in Ayr, the county town, and his presence is everywhere. You can visit the house where he was born and enjoy the poetry that captured the hearts of a nation. Ayr is a delightful holiday town, or head a little further down the coast and visit Girvan. The coast is rugged and still features many of the caves and coves used by smugglers in the 17th and 18th centuries. Cynics will tell you that North Wales is most famous for its sheep population. That is nonsense. Get in your car and take a trip down the North Wales coast and your view will quickly change. Holiday towns such as Rhyl and Prestatyn are among the most beautiful you will ever find. There are also plenty of historic ruins to explore, as well as some of the best holiday parks in the country. Perth is located in arguably the most beautiful part of Scotland, in the foothills of the Scottish Highlands. The scenery is spectacular and Perth is a vibrant city, boasting plenty of shops, cinemas, pubs, restaurants and hotels. Located on the banks of the River Tay, there has been a settlement at Perth since prehistoric time. earby Neolithic standing stones and circles date back to 4000BC. The presence of Scone Abbey, home of the Stone of Destiny, where kings of Scotland were crowned, enhanced the early importance of the city. The magnificent Gleneagles courses are located nearby and nowhere is Britain will you find a more beautiful place to play golf. Most people will want to play the Ryder Cup course, but please don't miss the opportunity to sample the delights of the Kings and Queens courses, and take time to stand for a moment and take in the beauty and the colour of the mountains. Is there a more beautiful part of the United Kingdom than Cornwall? Probably not. Home of the spectacular Eden Project, Cornwall boasts miles of breathtaking coastline and beautiful seaside towns and villages, including Newquay, Padstow, Penzance and Mousehole. Cornwall is also home to Cornish ice cream and clotted cream. Such rugged coastline guarantees that any golf courses in the area are going to take your breath away, and none more so than the quite astonishing St Mellion. This is a proper golf course, designed by Jack Nicklaus and once owned by a certain Nigel Mansell. If you can play to your handicap at St Mellion then you can do so anywhere. Devon is home to towns such as Ilfracombe and Torquay, which was one of the places in the country where palm trees were planted and grew. It is described by some as the Mediterranean of the south coast on account of its micro-climate. The jewel in Devon's golfing crown is Royal Devon, also known as Westward Ho! It is the oldest links course in Britain, and they use sheep to keep the fairways in order. A unique experience. Also worth a visit are Bovey Castle, Carlyon Bay and Highbullen Hotel Golf and Country Club. Looking for ideas for a last minute break ? Check out the #GolfshakeTop10 deals for inspiration and last minute deals on golf breaks throughout the UK and Europe.